Laserfiche offers digital storage and automation that simplifies document, records and business process management (e.g., accounts payable, case management, HR onboarding). Sell a scalable technology portfolio with ongoing opportunities for service revenue and lucrative integrated enterprise deployments. With its affordable cost of entry, Laserfiche is the right choice for a wide profile of business owners. 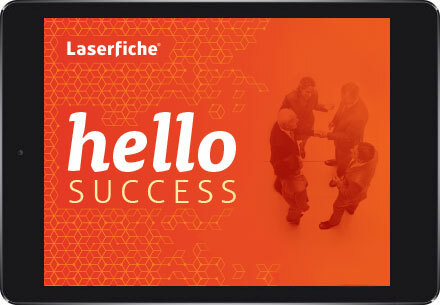 Take advantage of quarterly training sessions, a responsive technical support program and an intuitive support site connecting you to thousands of Laserfiche resellers and users. Find out how you can expand business opportunities by offering ECM software that’s easy to learn, easy to use and easy to sell. Learn more about the Laserfiche Solution Provider program.